The Embassy of the Republic of China (Taiwan) is pleased to announce that on Tuesday, January 28th, 2014 at 10:30AM at the Chateau Caribbean Hotel, Belize City, this Embassy and Belize-Taiwan ICDF Alumni Society in Belize will co-host the 2014 Scholarship Program Briefings for those who are interested in this year’s Taiwan scholarships. 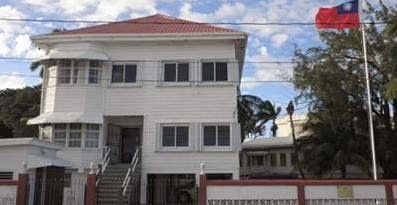 Started from 2002 and 2004 respectively, this Embassy has accepted and recommended numerous Belizean students to pursue their degrees from Bachelor, Master to Ph.D programs in Taiwan in various fields such as public health, agriculture, business administration, engineering and information and communication technology. Until 2013, there are totally 232 recipients are awarded and more than 100 persons had finished their study and returned to Belize to contribute their learning to Belize. There are 21 Universities and 32 programs provided by Taiwan ICDF this year, including 11 Bachelor programs, 19 Master programs and 2 Ph.D programs. The application deadlines for Taiwan ICDF Scholarship and Taiwan Scholarship are March 14, 2014 and March 31, 2014 respectively.